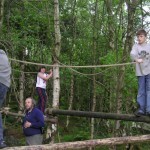 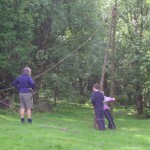 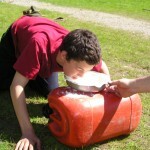 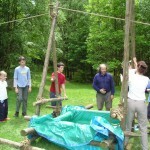 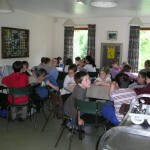 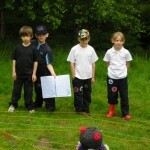 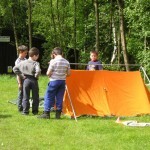 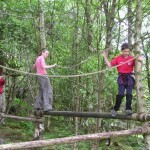 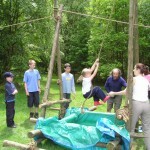 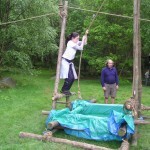 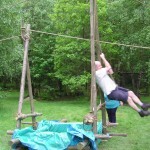 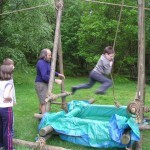 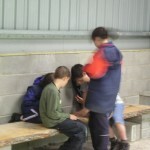 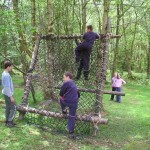 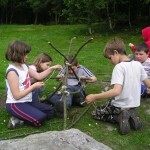 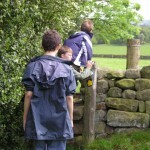 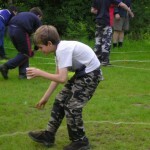 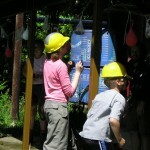 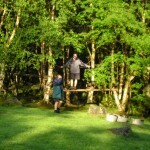 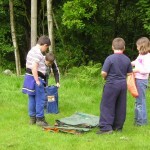 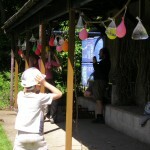 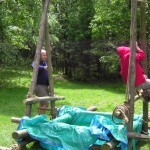 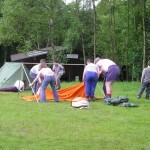 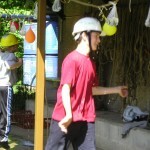 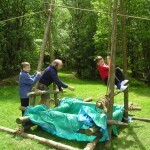 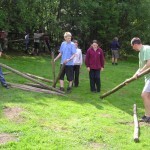 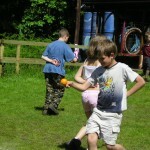 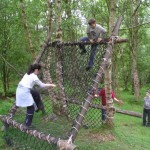 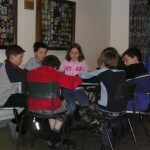 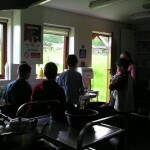 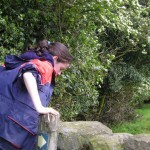 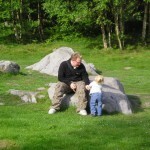 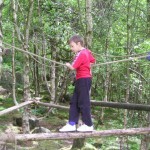 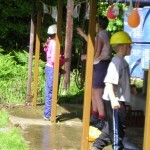 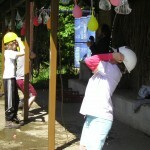 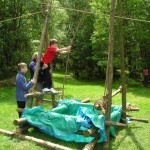 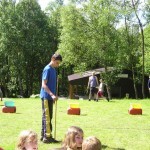 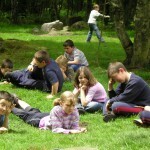 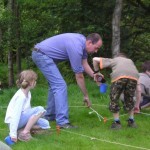 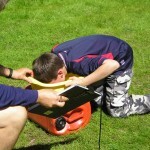 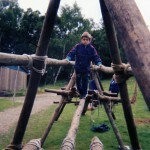 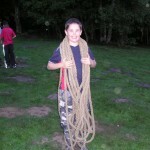 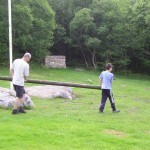 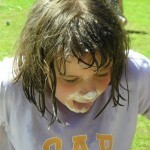 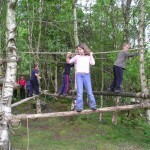 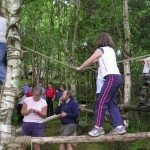 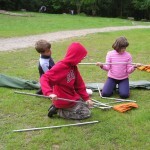 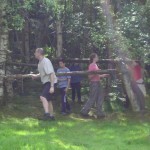 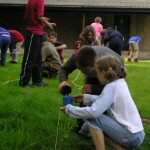 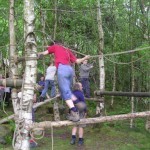 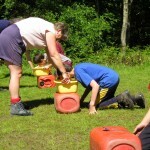 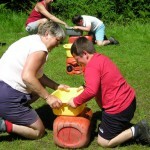 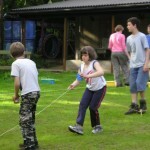 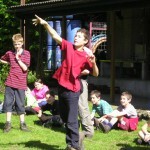 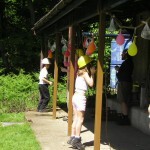 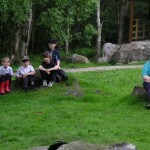 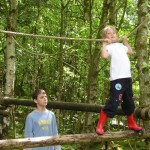 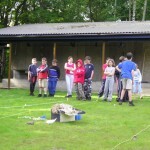 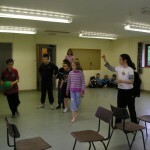 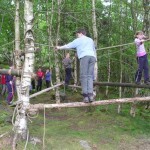 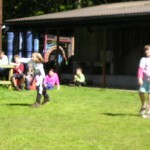 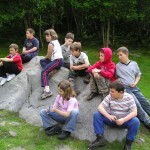 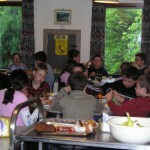 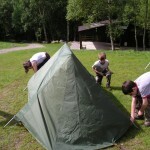 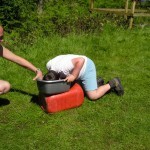 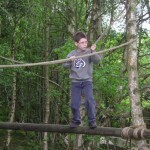 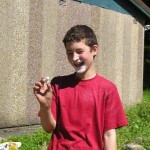 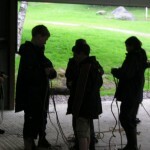 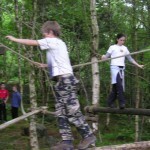 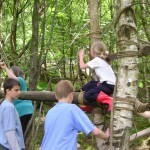 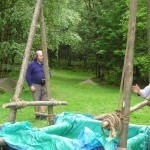 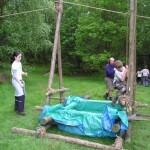 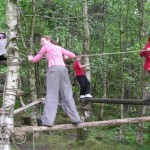 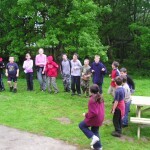 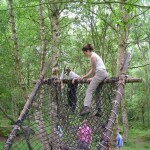 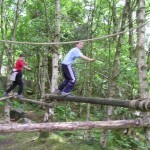 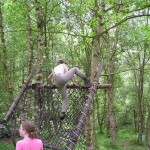 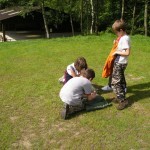 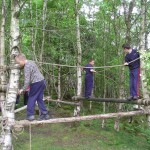 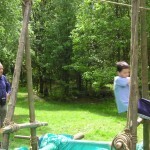 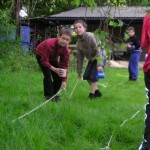 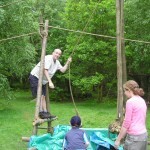 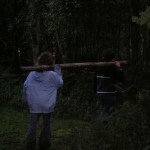 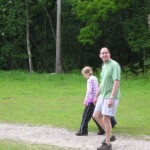 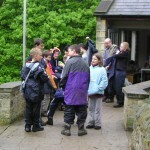 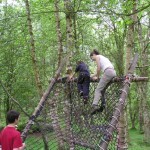 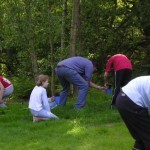 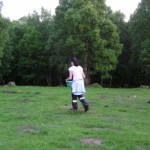 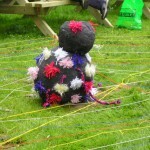 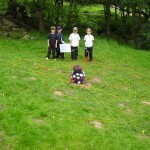 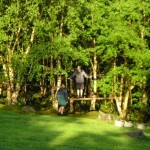 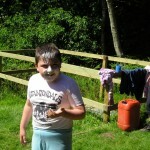 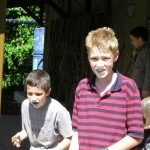 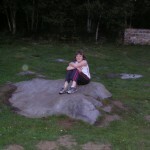 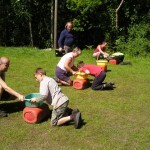 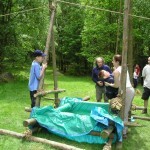 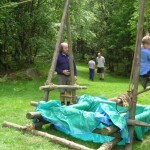 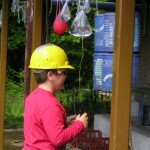 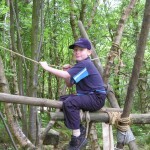 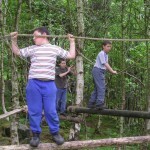 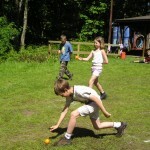 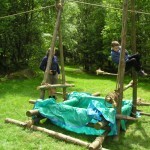 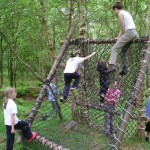 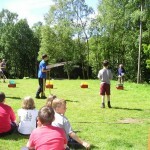 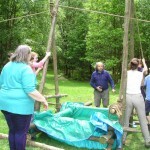 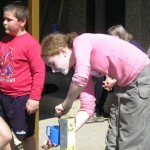 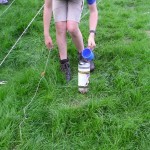 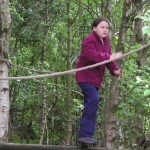 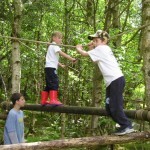 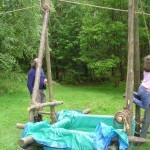 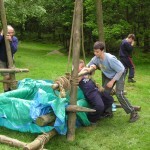 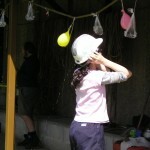 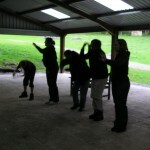 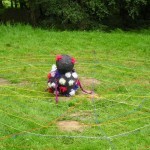 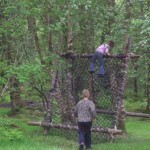 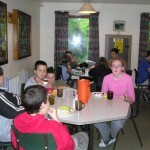 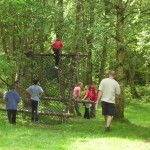 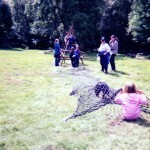 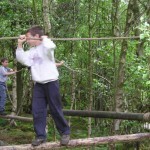 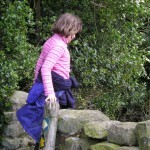 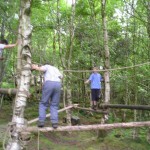 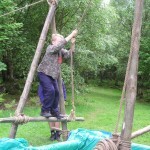 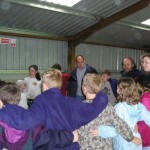 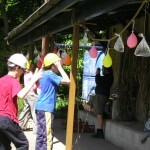 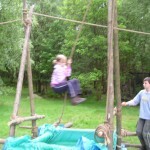 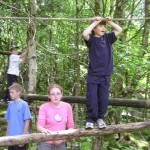 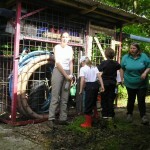 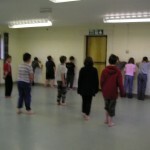 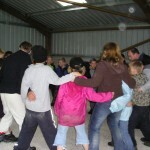 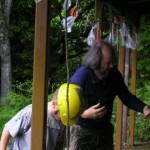 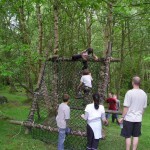 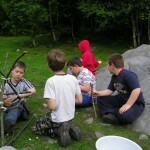 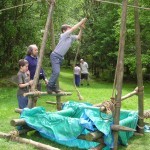 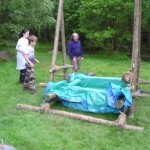 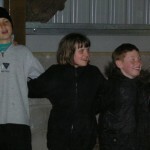 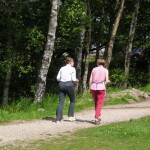 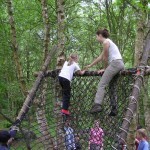 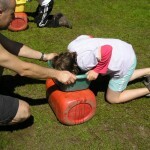 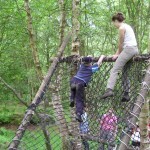 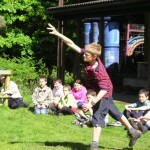 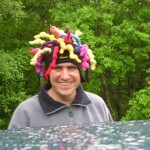 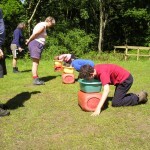 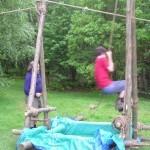 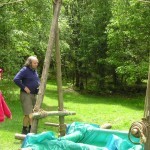 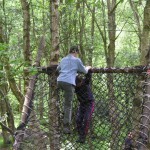 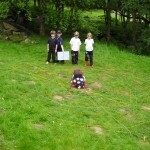 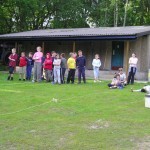 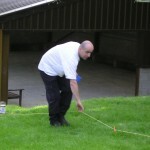 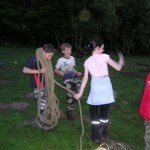 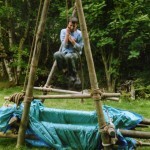 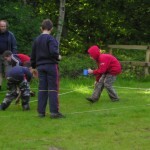 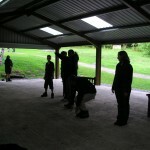 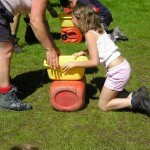 We held a group camp in May at Thornthwaite District Scout Camp. 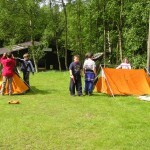 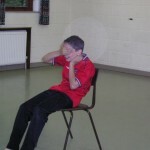 There is no summer camp this year as Tookay is taking place so we decided to offer this partly as an alternative to those who can’t attend Tookay and partly just because we thought it would be a nice idea to get the whole group on a camp together. 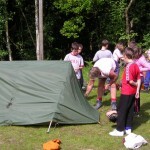 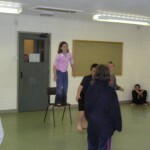 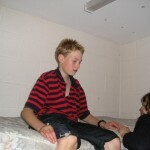 Also, as this is our 40th year at Grove Road, we thought it would be appropriate to mark the occasion with a camp! 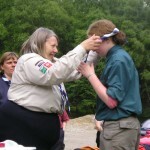 Also as part of our anniversary celebrations, we have had a new group badge produced which is going to be worn on our neckers. 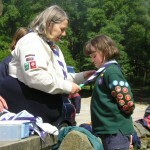 Moira brought along her sewing machine and sewed on badges for all those present on the weekend. 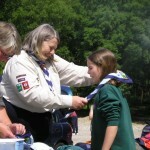 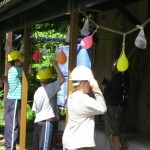 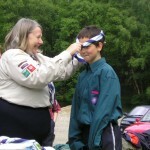 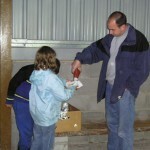 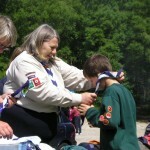 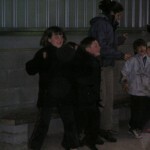 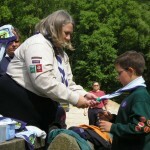 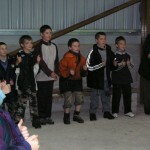 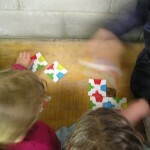 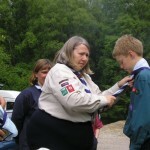 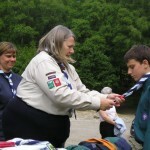 All the neckers were then presented back to the children at the closing ceremony. 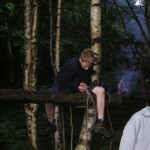 During the weekend we took part in various activities including orienteering, hiking, pioneering, fire lighting and cooking, scout skills activities and many games. 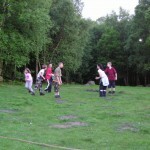 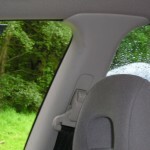 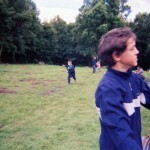 The weekend came to a climax on the Monday afternoon with the hunt for the Golden Boot, won by the Buccaneers.